DECEMBER 2013 - Begin the main Phase Two journey by hauling sledges north onto the sea ice out of Qaanaaq and the Thule region. FEBRUARY 2014 - Aim to reach the northern extent of the Nares Strait, where it meets the Lincoln Sea and Arctic Ocean. Lay a final depot on land. MARCH 2014 - Reach the North Pole in winter before the vernal equinox. A decision will then be made based on the ice conditions to the south. MAY 2014 - Aim to return back to the entrance of the Nares Strait and locate the self-laid depot of supplies. JUNE/JULY 2014 - Move at speed as the summer melt begins to take hold and ski either over the icecap or through the broken ice of the Nares Strait back to Qaanaaq, success and home. There are only a handful of polar expeditions in history that have ventured into the polar winter. Beginning in December 2013, as part of a multi-phase landmark expedition, a small international team will travel into the darkness. Between mid-December 2013 and July 2014, Alex Hibbert and the Dark Ice team will each haul over 250kg the length of the Nares Strait and then make an unsupported return attempt on the Geographic North Pole. In August 2013, an initial preparatory phase will take place to lay and prepare depots for the main phase, with that ultimate goal of the Pole unsupported in winter. This has never been achieved. The Pole has also never been reached from Greenland - the final main route as yet untravelled. The route will cover up to 1800 miles over fractured and mobile sea ice between the cliffs and glaciers of Ellesmere Island and North-West Greenland and then the vast, frozen Arctic Ocean. The team will set out from the Greenlandic Inuit village of Qaanaaq and travel north to the edge of the Arctic Ocean and then the North Pole, before returning. The sea ice through these narrow straits is amongst the most dynamic and technically demanding in the world. The team will have only their tent as protection against the, at times, brutal Arctic winter conditions and their trusty Inuit dog, Dave, as a companion and warning against over-curious polar bears. Spend a number of weeks pre-laying supplies up the Nares Strait by boat, along with local Greenlandic boatmen. Begin the main Phase Two journey by hauling sledges north onto the sea ice out of Qaanaaq and the Thule region. Aim to reach the northern extent of the Nares Strait, where it meets the Lincoln Sea and Arctic Ocean. Lay a final depot on land. Reach the North Pole in winter before the vernal equinox. A decision will then be made based on the ice conditions to the south. Aim to return back to the entrance of the Nares Strait and locate the self-laid depot of supplies. Move at speed as the summer melt begins to take hold and ski either over the icecap or through the broken ice of the Nares Strait back to Qaanaaq, success and home. THIS TRACKER WILL AUTOMATICALLY UPDATE OUR POSITION EVERY 12 HOURS. MISSING ENTRIES MAY OCCUR DUE TO POOR GPS SIGNAL. Alex is a world-record holding polar expedition leader. Only twenty-seven years old, he has spent over one hundred and sixty-five days unsupported in the Arctic and has crossed the second largest icecap on Earth four times. In 2008 he completed the longest unsupported Arctic journey in history (at the time, the longest polar journey). He is also the author of three books, The Long Haul, Kalaallit Nunaat and Maybe, and is a globally published photographer. Alex is a Global Brand Ambassador for Wolsey. After spending his formative years walking and running in the UK hills, hiking journeys abroad, mostly solo, followed in the long summers. These included Nepal in 2009 and Peru in 2010. In Peru, James also spent 6 weeks in the rainforest gathering scientific research data. Since 2011, James has focussed on the mountains of Wales, Scotland and the Lake District as he develops a career as an outdoor instructor. 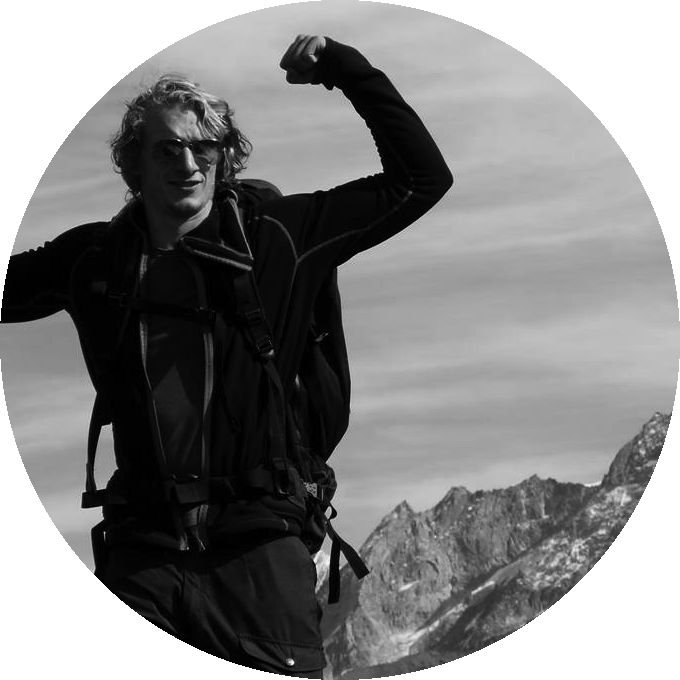 He currently organises and leads expeditions for Activ Adventures, a social enterprise based in Richmond. James has worked on an independent expedition across Lake Baikal in Siberia, training for which had included time spent skiing and kit testing near Finse in Norway. Half Russian, half Korean, born in the mountains if Kyrgyz Republic in USSR (now Kyrgyzstan), raised in Siberia. Went to Cambridge at the age of 16 to study Art & Design. Got first taste of the Arctic at the age of 19 (a week on the East coast of Svalbard to see polar bears) and instantly fell in love with her. Since then been on more than a dozen expeditions, mostly but not exclusively in the extremely cold environments. Some of which include: Last Degree to the North Pole, Fall Greenland Crossing, Siberian Black Ice Race (the only female to participate solo and one of 6 out of 30 to complete the full distance), walked up Elbrus and Kilimanjaro, attempted Denali. Anders was educated in Nordic outdoor life from the University of Southern Denmark, where he spent his time hiking in the Icelandic mountains and ice skating on the Swedish lakes, as well as skiing in the Norwegian mountains where he trained in snow hole survival in pine forest areas. Anders has lived in the Central American jungle for over three months in a hammock while undergoing expedition leader training in Belize. He has his physical training background in athletics where he competed in national championships from the age of 14 until 20. He has more recently turned his focus to the outdoors and becoming a polar expedition specialist. Please use the form here to contact the team regarding press, media, commercial opportunities and general questions. They will get back to you shortly.